Fish & Co.is a sustainable seafood eatery, takeaway outlet and retail shop offering wild caught, sustainable and traceable seafood. 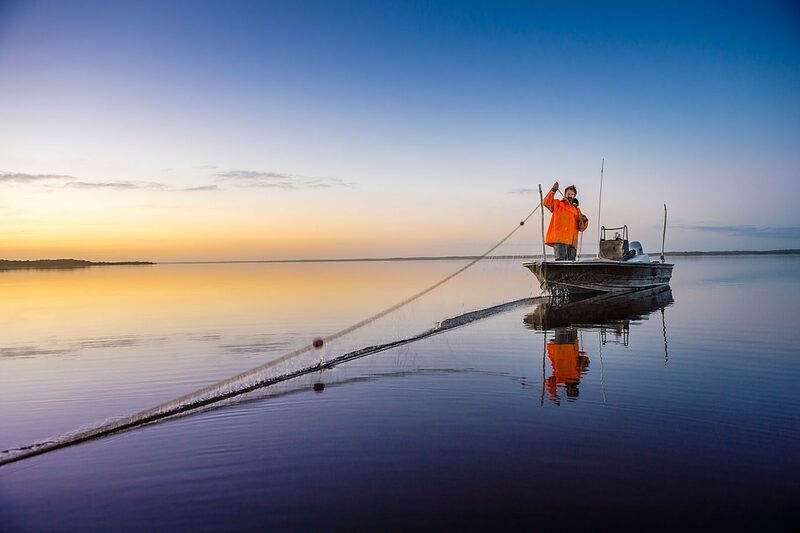 We define sustainable seafood as wild caught seafood that has been caught with minimal impact on the marine environment and will be available for future generations. 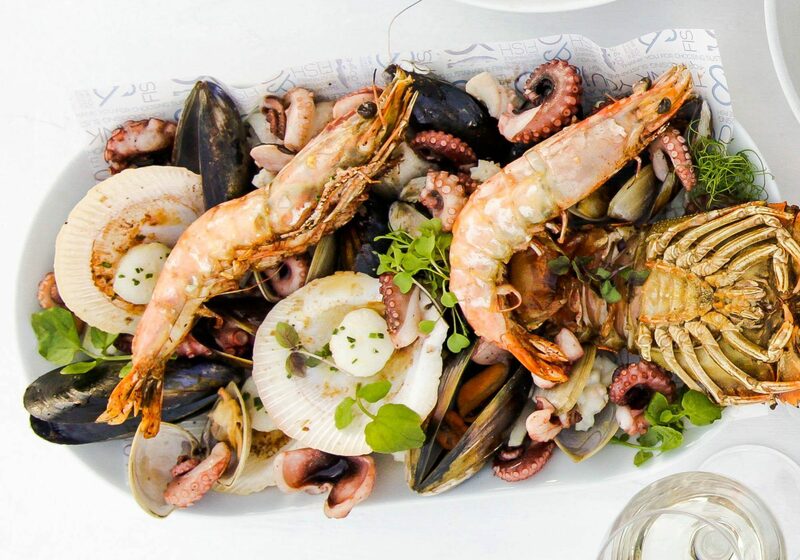 Our seafood is sourced only from the fishermen and fisheries that are 100% committed to sustainable fishing practices. To make informed seafood choices people need to know exactly what they are eating, where it came from and how it was caught. We provide this information and assurance that the seafood on your plate has been responsibly harvested and is exactly that species. At the core Fish & Co.is a sustainably driven restaurant advocating and creating awareness not only about sustainable seafood but general food provenance. We source food with a story for its high quality and ethics. Our food and ingredients are chosen for their traceability, buying direct from fishermen, small scale producers and food artisans wherever possible because of the close relationships and trust that creates. For too long we have accepted food without a story and there are some really great ones that should be told. It’s our sustainable parters that make it possible for us to deliver a delicious sustainable experience here at Fish & Co. Sustainable seafood made easy. What does ʻsustainable seafoodʼ mean? For Fish & Co, sustainable seafood means wild caught fish and seafood sourced from fisheries that are committed to sustainable fishing practices. Sustainable fishing practices ensure no harm to the seafloor, other marine wildlife or fish stock numbers. We want to be sure the worlds oceans are healthy and teeming with life today, tomorrow and for generations to come. We do not sell any farmed fish due the the unnatural environment in which farmed fish are raised and the threat fish farming causes to wild fish stocks. Why does Fish & Co source salmon from Alaska? We source our salmon from Alaska as there is no wild caught salmon in the Southern hemisphere. All salmon from Australia is farmed and we do not buy any farmed fish. Our salmon comes from the Alaskan and Canadian salmon fisheries which are some of the best managed and most sustainable in the world. There are very few fisheries around the world that can say that they are under fishing a species by 50%. The salmon is imported in large quantities by ship to help lower our carbon footprint. Alaskan Sockeye Salmon is very high in Omega 3 fatty acids and vitamin D and low in Omega 6 and saturated fats which makes them extraordinarily healthful, sustainably produced sources of protein. Iʼm pregnant. Can I eat fish and seafood at Fish & Co? All the fish we sell at Fish & Co is wild caught. This means the fish have grown in their natural environment and eaten a natural diet. None of the fish on our menu are the larger predatory species of fish nor farmed fish which means the fish we sell do not have high levels of mercury or other contaminants. Where can I buy sustainable seafood? We sell a variety ʻcold fishʼ to the public. Hake, Tuna, Alaskan Sockeye Salmon, Norwegian Cod, Australian Banana Prawns, Ling, Coorong Yellow Eye and more. There is no minimum order, it can be a couple fillets to take home and cook for dinner or a large order for a party or function. If it is not convenient for you to buy fish from Fish & Co, when buying elswhere choose fish with the MSC eco label to be 100% guaranteed the fish is from a sustainable fishery. When choosing prawns, look for Australian Banana prawns from the Northern Prawn Fishery. These prawns can be found in the deli section of Coles or Woolworths and are sustainable but may not carry the MSC eco label. Prawns imported from Thailand or Malaysia are definitely not a good choice as they are mass farmed, doused in a blue liquid sunscreen to stop them from overheating in the ponds and are fed ʻtrash fishʼ which is a mixture of dead fish, other marine life and debris from the dredged sea floor. Is all sockeye salmon wild? Alaskan sockeye salmon is the only true source of wild-caught sustainable salmon fishing. Salmon has grown in popularity for its many health benefits and ease of preparation which in turn puts a strain on supply due to the high demand. The problem we have is that mass production means quality suffers greatly and leads to misinformation. One of the first salmon scams was from as early as 2005 by the New York Times was reporting on farm fished salmon being sold as wild-caught with continued reports from the non-profit ocean conservation group Oceana, which has released a new study showing that 43 percent of 82 salmon samples from restaurants and grocery stores were mislabeled. In 69 percent of the cases farmed Atlantic salmon was being sold as wild. Oceana reported that 48 percent of the samples bought in several Virginia cities, 45 percent of those bought in Washington, D.C., 38 percent in Chicago, and 37 percent in New York were mislabeled. In addition to farmed salmon being sold as wild, Oceana found that samples labeled as a specific type of salmon, such as Chinook (King), turned out to be different species in DNA testing. The report concluded that consumers were five times more likely to be misled about salmon in restaurants than grocery stores (38 percent vs. 7 percent) and that salmon bought out-of-season from all retail outlets was three times more likely to be mislabeled than salmon purchased during the commercial fishing season (23 percent vs. 8 percent, respectively). Unfortunately, there’s no way to tell at a glance whether salmon is wild or farmed. Once you’ve eaten wild salmon, you may be able to recognize the taste – it’s more pronounced than farmed salmon and the flesh is firmer. At Fish & Co we recommend wild Alaskan salmon. Not only because it is delicious and a good source of health-protective omega-3 fatty acids, we also have concerns about potential contaminants in farm-raised salmon. Even though this is a complex issue and that some farmed salmon is of acceptable quality it still cannot compare to wild caught Salmon. If wild salmon isn’t readily available where you live, you can order it online from us here at Fish & Co (www.fishandco.com/shop). Its wild Alaskan salmon, flash-frozen when caught and comes from sustainable, well-managed fishing operations. If fresh or frozen wild Alaskan salmon is too pricey for your food budget, you can get the same omega-3 fatty acids found in it from canned sockeye (red) salmon sold in supermarkets. (It’s all wild – sockeye cannot be farmed). Why do salmon turn red? Salmon flesh is red due to their diet. Salmon gain 99% or more of their body mass in the ocean and the food they eat in the ocean is high in carotenoids (the same pigment that gives carrots color). These pigments are stored in their flesh. As salmon approach their spawning grounds they begin to absorb their scales. The carotenoid pigments in their flesh are transferred to the skin and eggs. By the time they spawn, their flesh is truly white because of all the carotenoids have been moved out of the flesh. The red skin makes them more visible and may signal their readiness to spawn. The pigments may also help the fish absorb oxygen from the water.